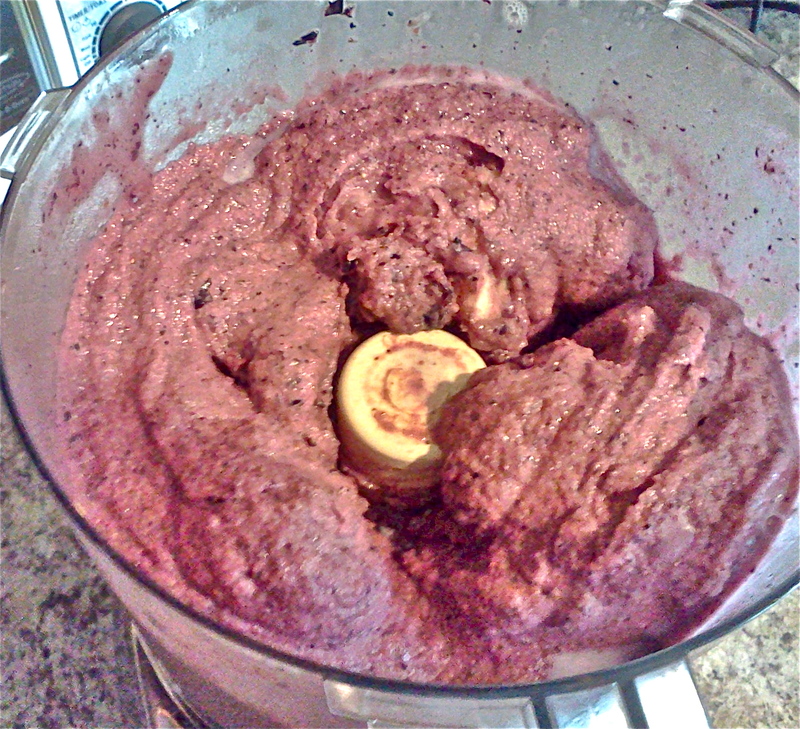 Blueberry banana soft serve. Because it’s March 22nd and it’s hot out. Blueberry soft serve. 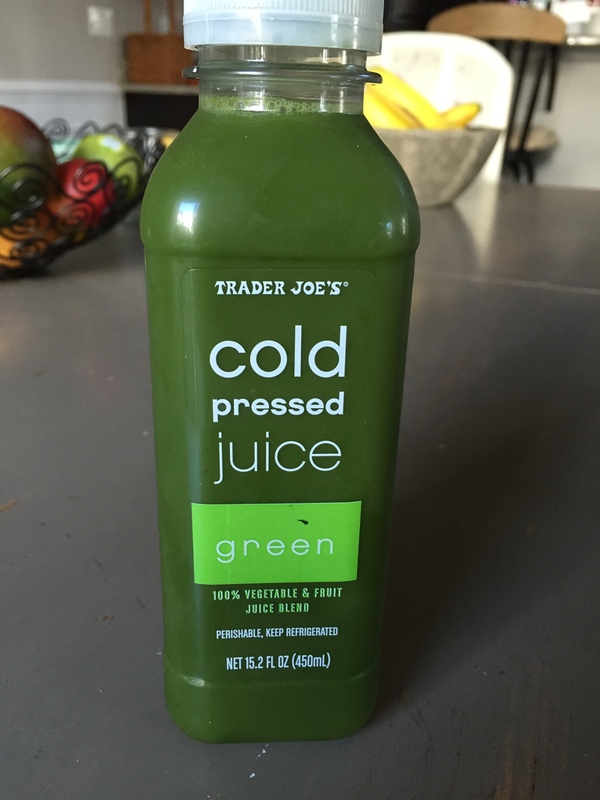 Guilt free, baby! Do you know how creamy bananas can be when frozen? The consistency is amazing. Years ago I would slice, freeze, and then snack on frozen bananas. Until I discovered this dessert. Gone are the days of my sucking on frozen sliced bananas. This dessert is amazing. A satisfying, dairy free soft serve from a banana base. I discovered this on a blog that I follow called, Choosing Raw. http://www.choosingraw.com. Since then I have made 1,000,001 variations of this. Chocolate soft serve, peanut butter soft serve, pumpkin peanut butter soft serve…. All with the frozen banana base, and a couple of add-on ingredients. The possibilities are endless. You just have to be willing to dust off your food processor. For today: Blueberry Soft Serve. The bananas– DO NOT THROW OUT THOSE OLD BANANAS! I never waste bananas in this house. Brown bananas need love too. Honestly, the most ripe bananas are the sweetest, am I right? Slice them up, freeze in a freezer bag and keep them on hand for smoothies, and this yummy soft serve recipe. 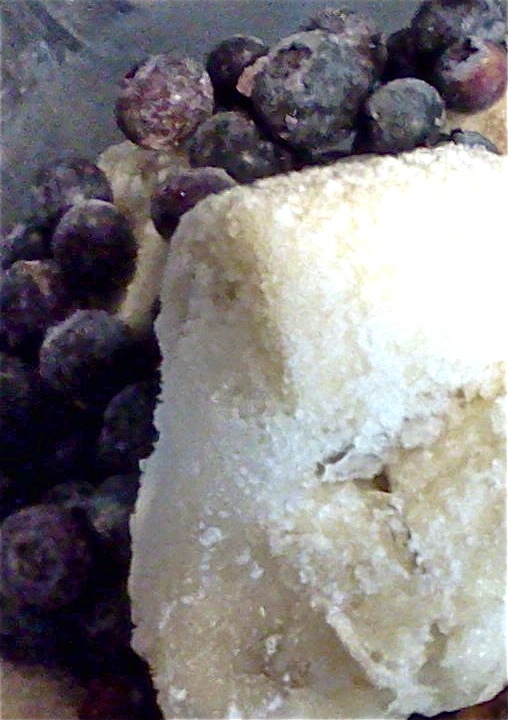 The blueberries– Do you keep frozen berries in your freezer? full-time? Give them a home, in your freezer, permanently. Not just for summer! 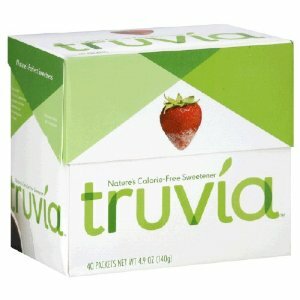 Truvia– Optional healthy sweetener. Toss your Splenda, this is a better choice. Toss all ingredients into your food processor. Process until desired consistency, scraping the bowl down as needed. 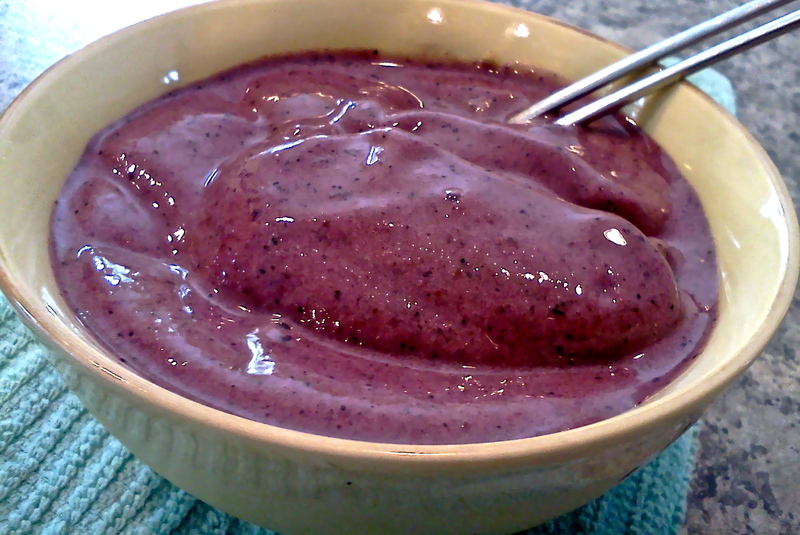 Blueberries and frozen bananas. A match made in heaven. A few Sundays ago we even had soft serve for our family breakfast. Living on the edge. I realize some days, carrots and hummus just will not cut it. 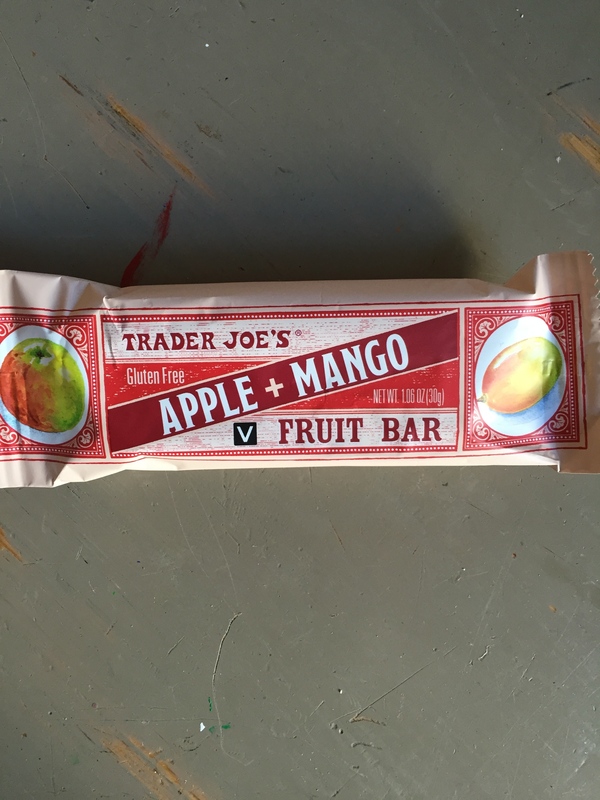 If you can’t take another celery stick, here are 3 good snack choices from a standard grocer, Wal-Mart, and Trader Joe’s. No excuses. 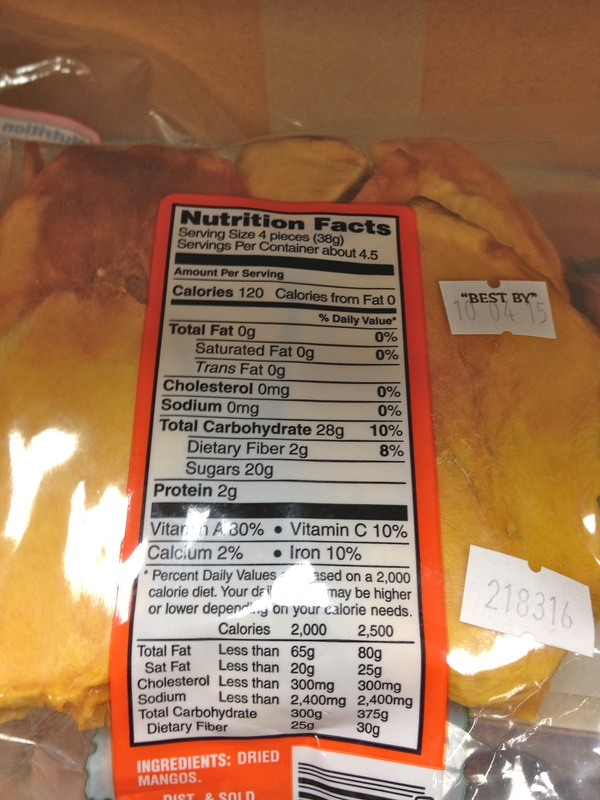 First things first, when buying chips or other snack items, try to find some that have 3 grams of fiber (or more) per serving. Plenty of snacks out there that have this promise. You just have to be willing to flip the bag. 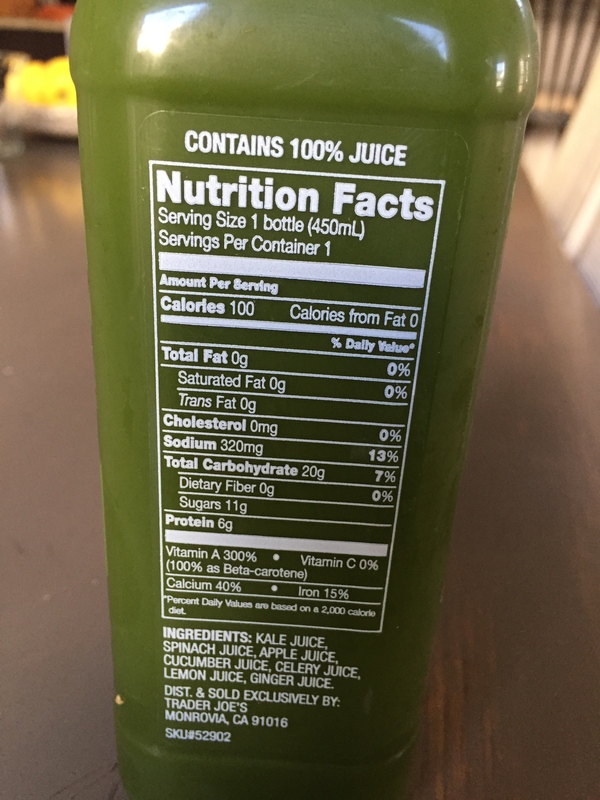 Remember, these do not equate to “healthy”, these are HEALTHIER than their standard counterparts. 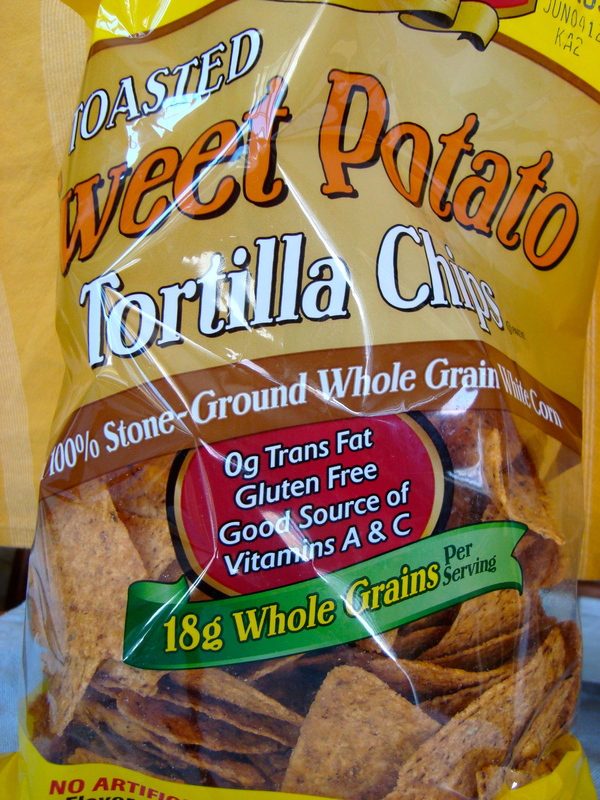 Sweet Potato Tortilla Chips– Can you step away from the Lay’s chips? I challenge you. Try this healthy healthier alternative. 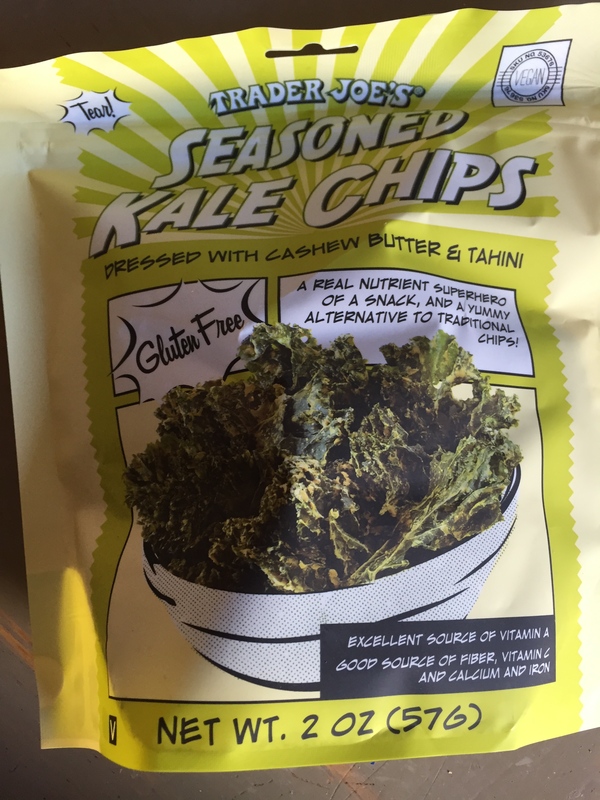 These have vitamin A and C. Not too shabby for a chip. 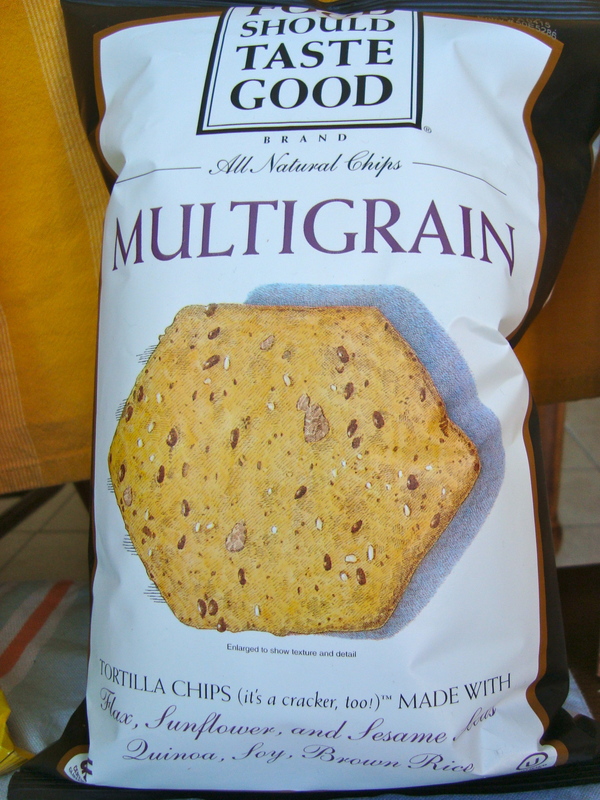 Food That Should Taste Good Chips– These are fantastic. 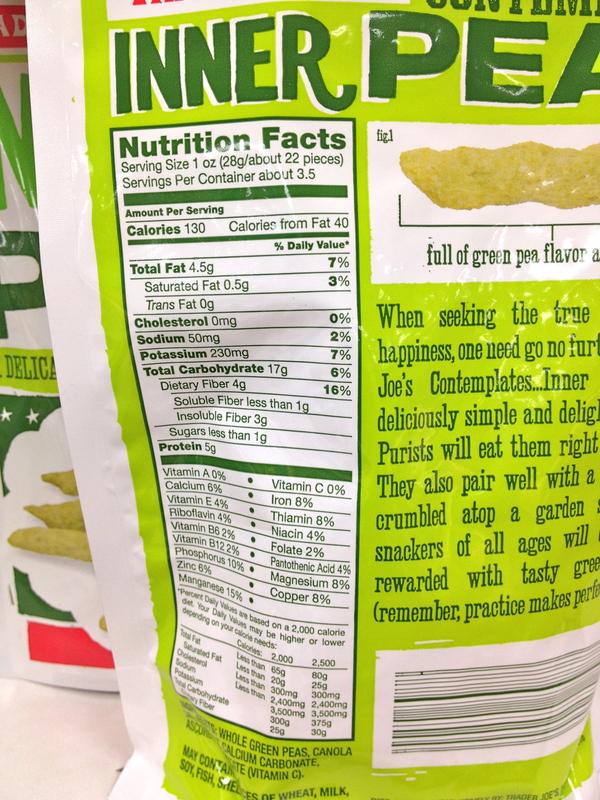 Meet the fiber requirement and are made from a blend of stone ground corn, flax, sunflower seeds…. Just good, clean stuff. 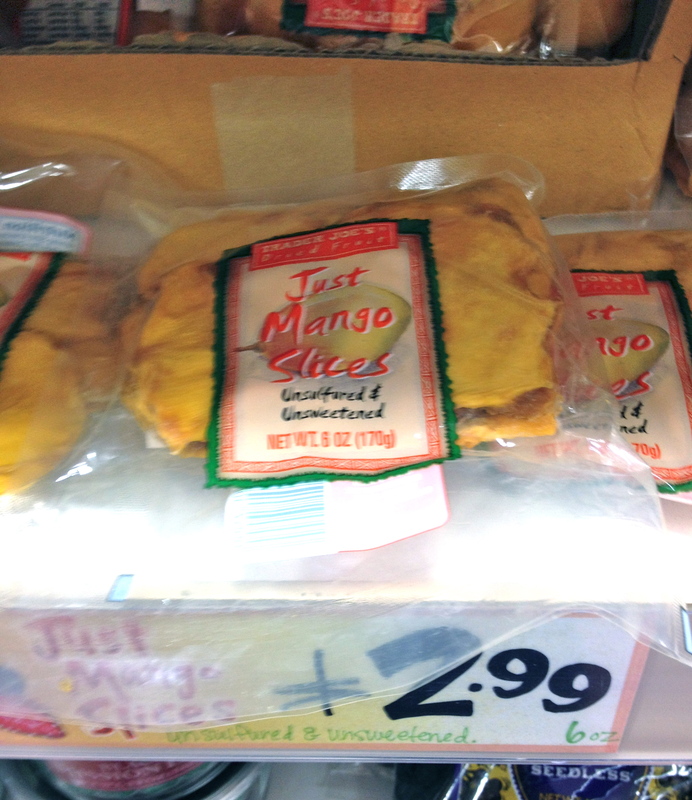 These are in the Wild Harvest section at Shaw’s. Venture out of the microwave popcorn/cheese curl aisle. You’ll survive. 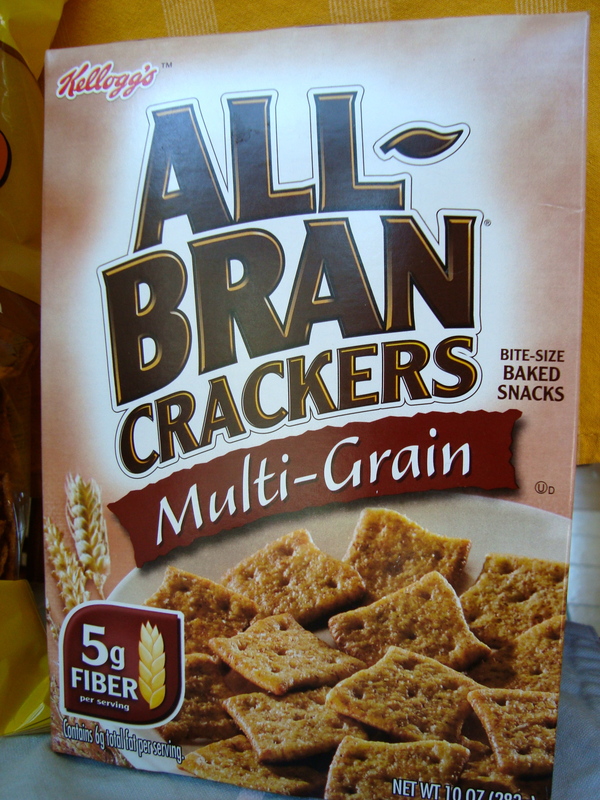 Kellogg’s All-Bran Crackers- Multi-Grain– The first ingredient on the side panel is actually “whole wheat”. Why does this matter? Well, sometimes these companies try to trick you with the whole wheat angle and plastering the words “multi-grain” on the front . 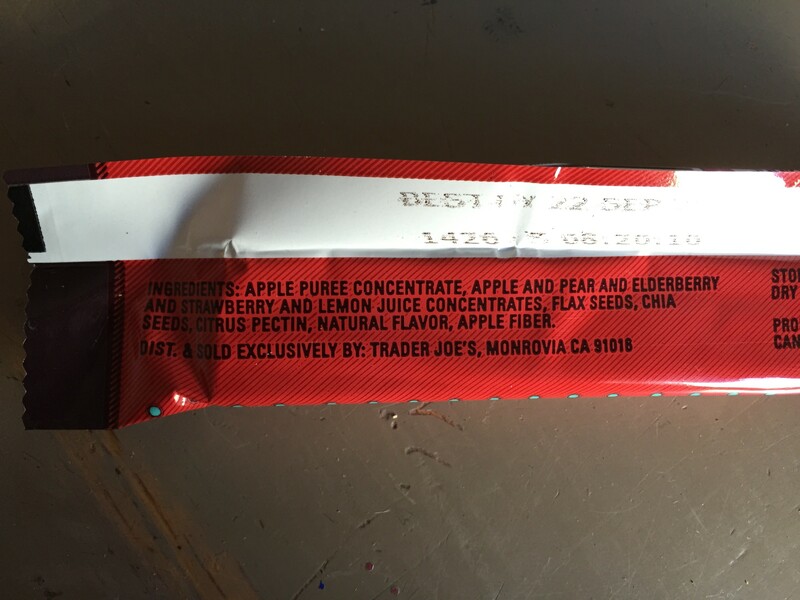 Don’t believe it until you check the ingredient list. Love these. Better and healthier than Wheat Thins. 5 grams of fiber? Score. 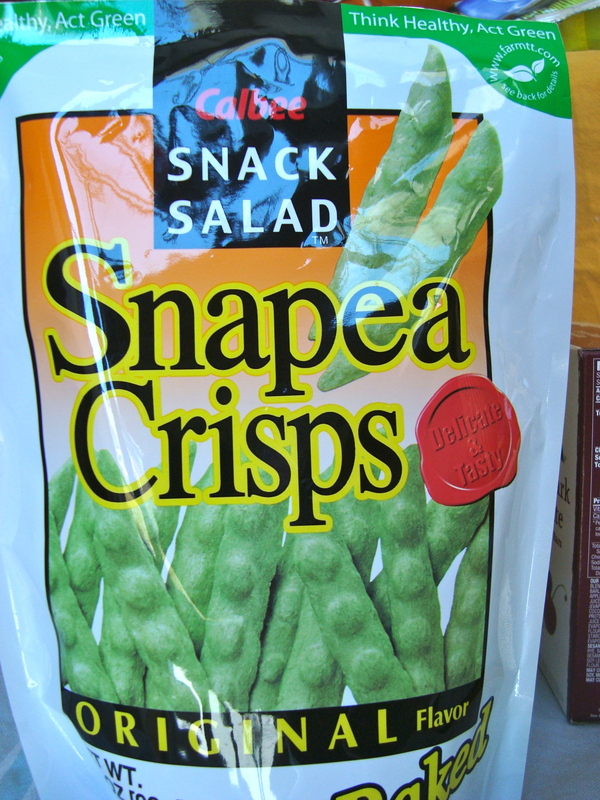 Snapea Crisps– These things are awesome. My youngest calls these the “long green things” instead of Snapea Crisps and yes, asks for the “long green things” as a snack. 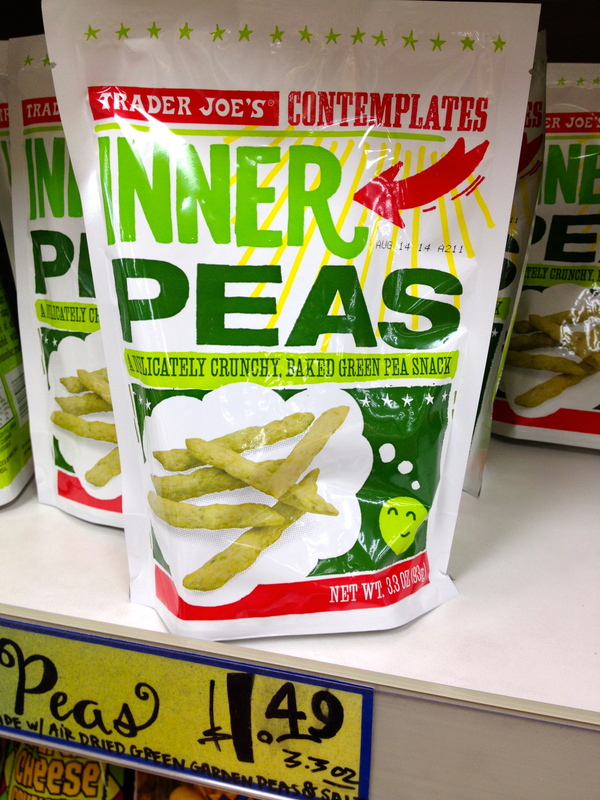 These are a crunchy green pea snack that well…taste nothing like green peas. 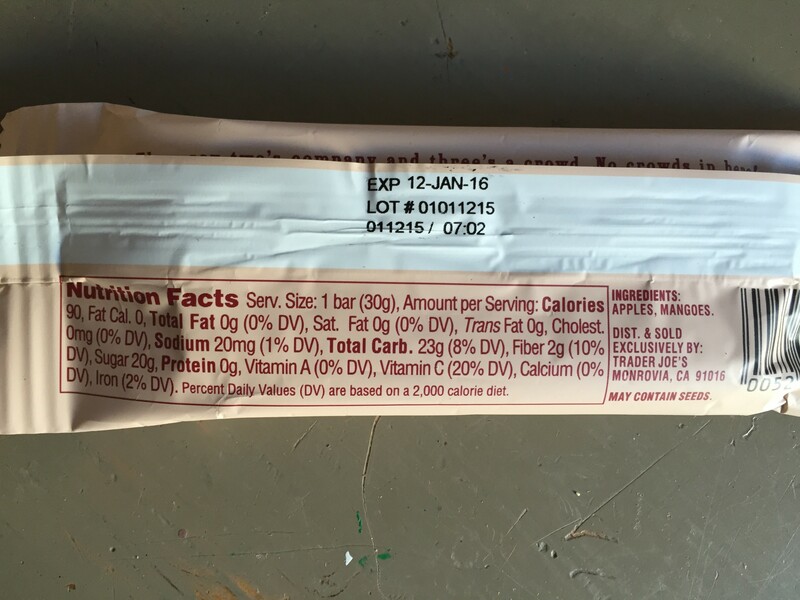 Calcium, Iron, Protein, and my 3 grams of fiber requirement? Yup. Best part? 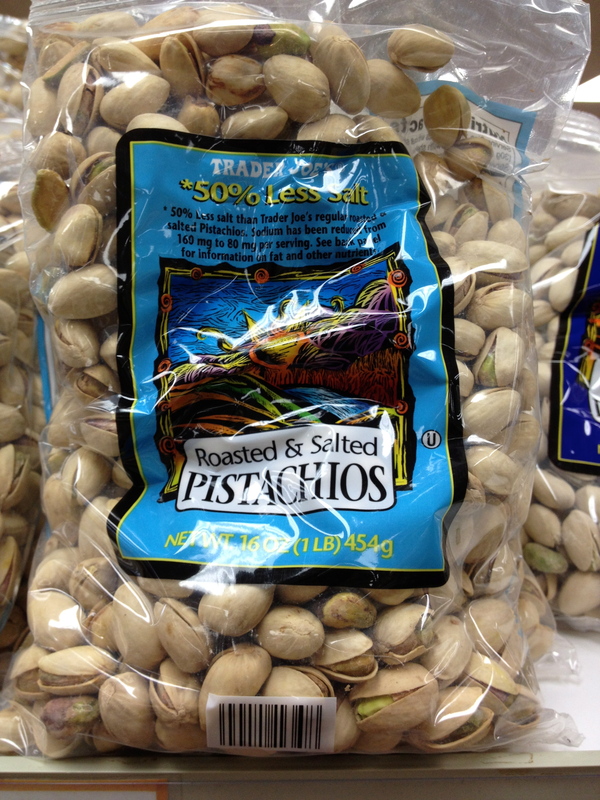 These are $1.50 a bag. For real. Great as a snack, or as a soup or salad topper. 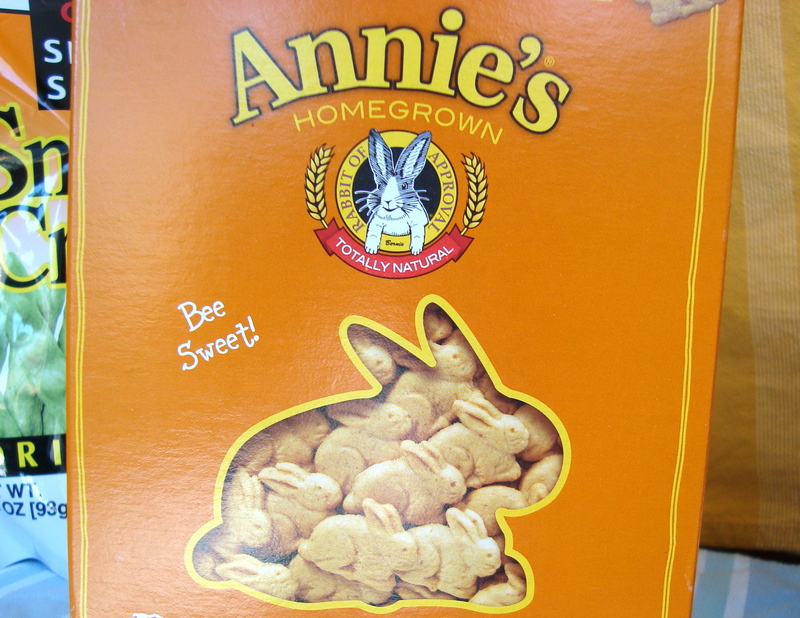 Annie’s Bunny Grahams-Honey–Did you know that Walmart has Annie’s products? Make Annie’s your new brand to look for. The Bunny Grahams are my go-to Teddy Graham replacement. The kids do not even miss those other guys. 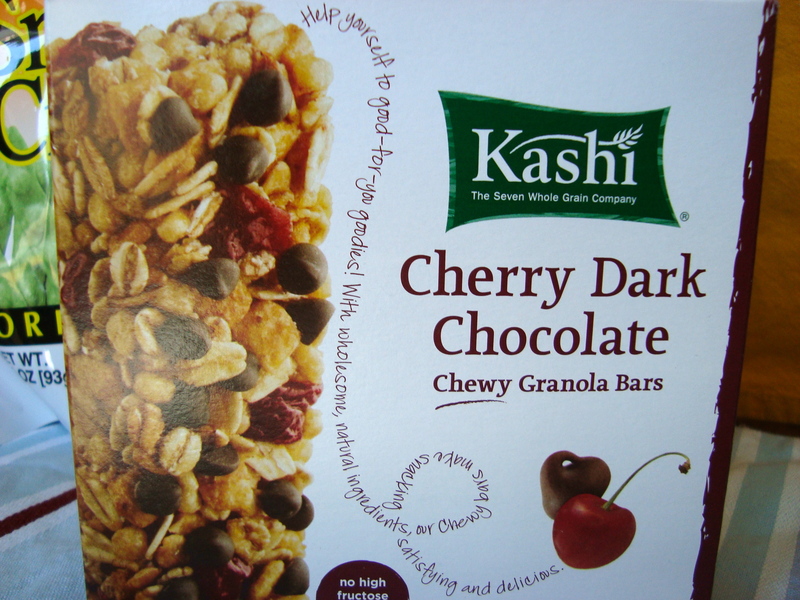 Kashi Cherry Dark Chocolate Granola Bars– Kashi. Another brand to seek out at Wal-Mart. 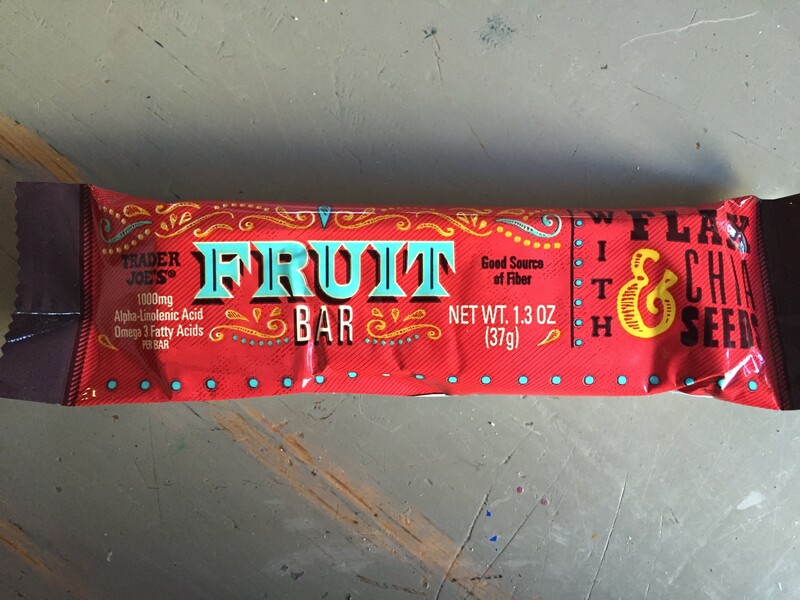 These granola bars actually have real cherries, fiber and 5 grams of protein per bar. Take that Quaker Oat bars. Cherries, chocolate, and chewy? Yay, me! 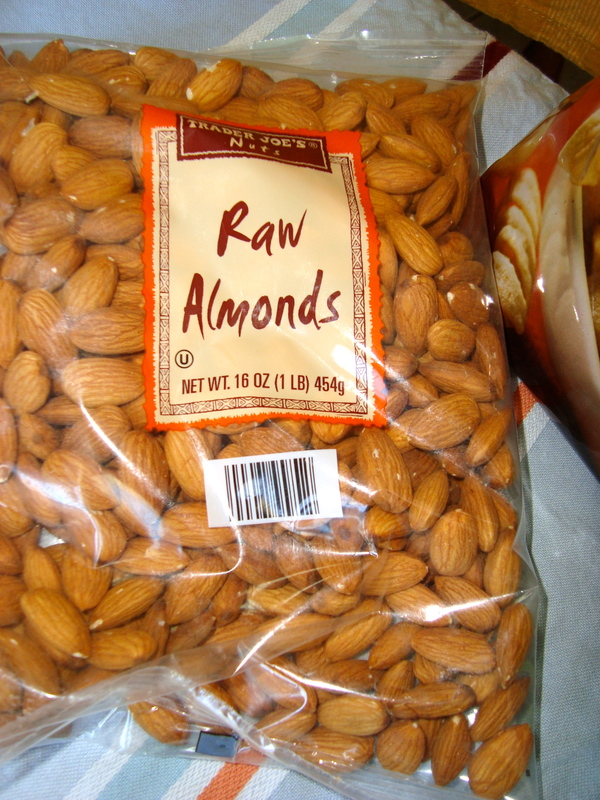 Raw Almonds– Protein packed. Grab these handfuls of heaven. Choose raw when possible for the best nutritional benefit. 0 mg sodium in these. Can you say that about your go-to snack? 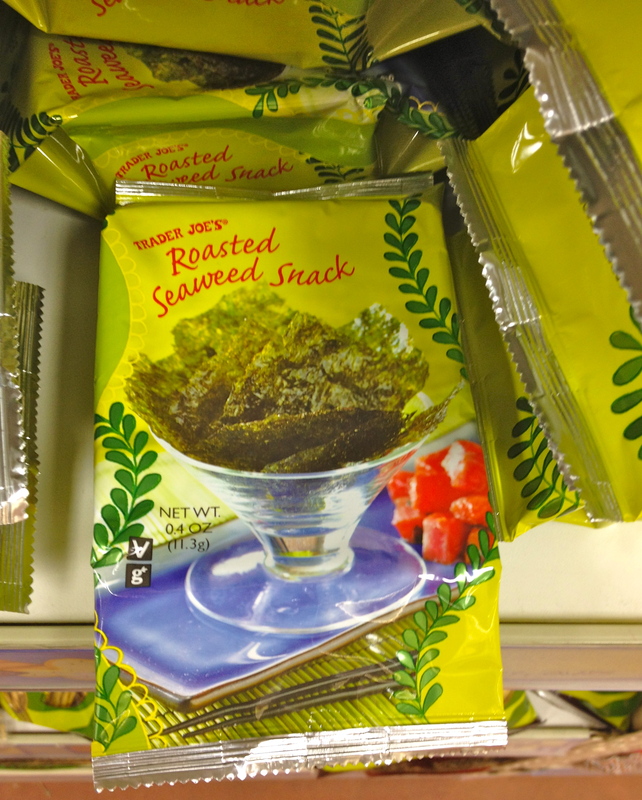 Roasted Seaweed Snack– Huh? 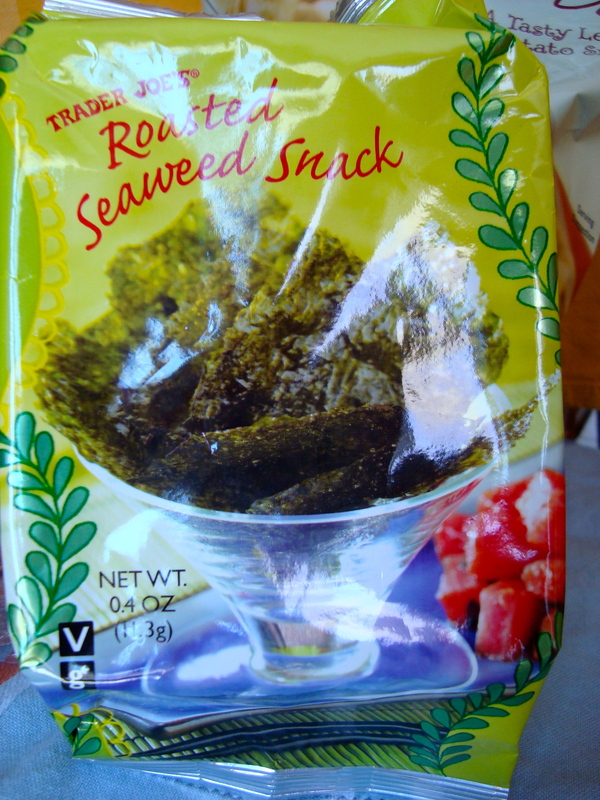 Seaweed? No, not as scary as it sounds. Sea vegetables are true gold mines in terms of health. Lightly salted. Just enough to keep you reaching for another. 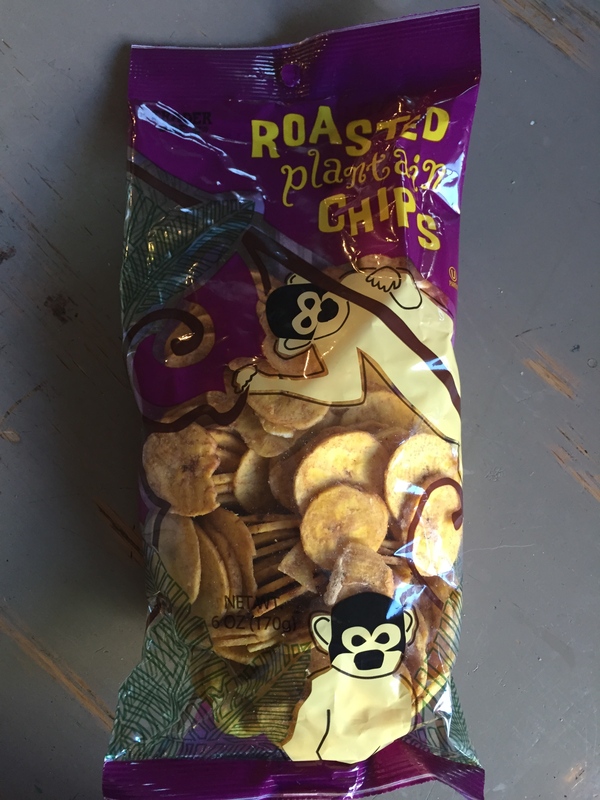 If you have a Trader Joe’s in your area, try these. These are $1.00? Seriously? Can you even get a candy bar for that price these days? 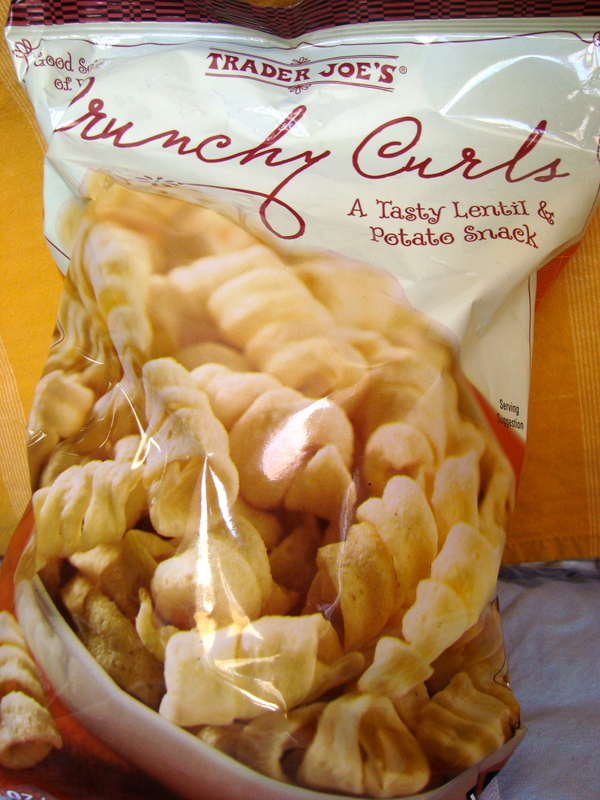 Crunchy Curls– These are probably my favorite snack of all that are listed. Lentil potato chips. 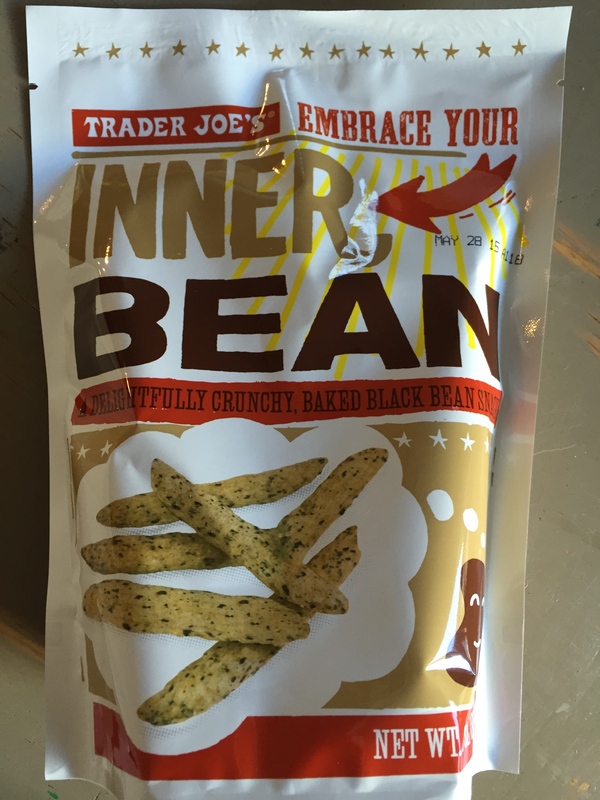 These are so good, it’s worth seeking out a Trader Joe’s for these. Even if it’s 100 miles away. Stock up. The curly shape makes them kind of fun and you feel like they are junky. But they aren’t. What snack do you reach for most afternoons?